Saying Chef Noel Cunningham has a lot on his plate is a colossal understatement. The owner of catering company Cuisine by Noel seems to have a finger in every conceivable culinary pie — marketing his own Jamaican jerk marinade, writing food columns for multiple media outlets, appearing as a regular guest on CTV Morning Live and the Marc and Mandy Show, and demonstrating his talents at events like Montreal’s Jerk Food Festival and Savouring Jamaica at the prestigious James Beard House in New York City. And that’s just for starters. The 28-year-old go-getter spent the past two years upping his business game as a full-time student in Red River College’s Hospitality and Tourism Management program, where he majored in Hotel and Restaurant Management — an undertaking that some of his colleagues found perplexing. 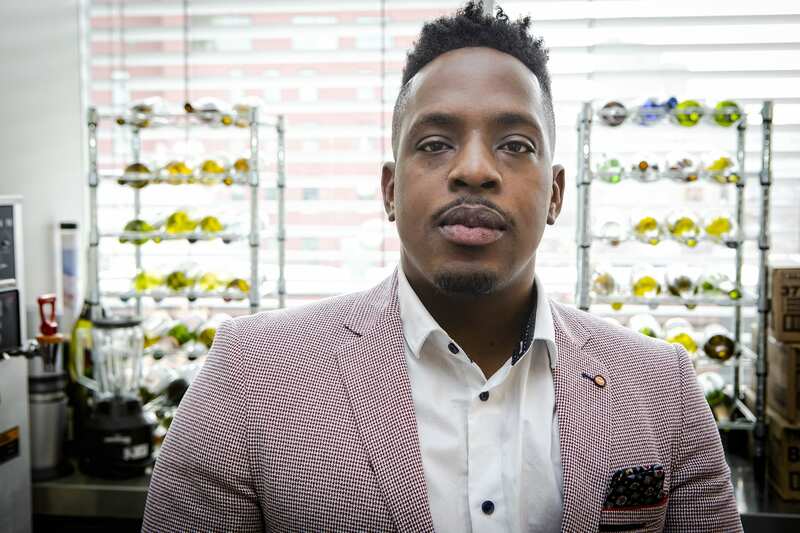 Born and raised in Kingston, Jamaica, where he trained at Runaway Bay Heart Hotel and Training Institute and earned his chops in high-end restaurant kitchens, Cunningham wanted to master skills that will serve him well over the long term, particularly since he aspires to be a restaurateur. 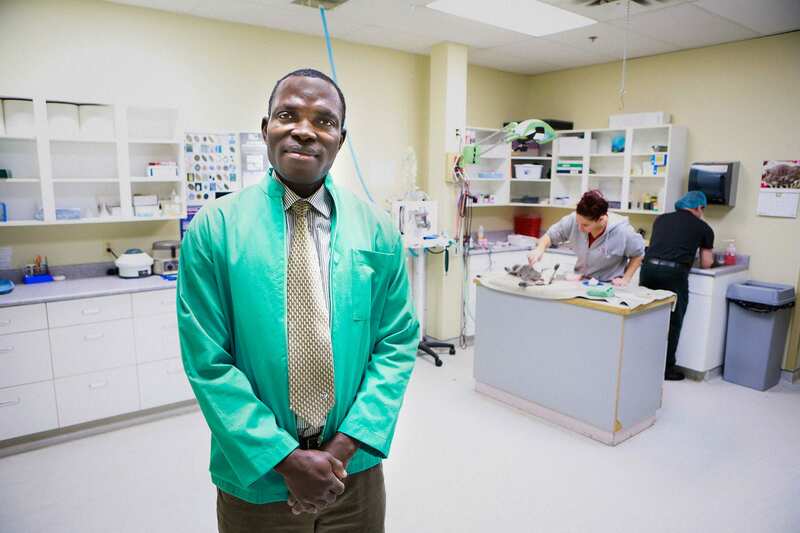 Veterinarian Dr. Meshack Kusa has devoted most of his career to keeping animals in good health, but recently he’s turned his focus to humans, as well. Driven by his passion for nutrition, the Red River College alum partnered with three other local professionals on YOMM Beverages Inc. in 2011. Specializing in hibiscus teas, the company was among the first of its kind in North America — and put hibiscus beverages on the map long before Starbucks added the herbal brew to its lineup. Kusa, who graduated in 2006 from RRC’s QA/QC in the Pharmaceutical Industry program (now called QA/QC in Pharmaceutical and Food), was raised on herbal beverages in his native Nigeria. His mom would bring him herbs to drink every morning, and he’s seen their benefits firsthand. YOMM is about sharing that goodness, he says. Kusa describes hibiscus tea as a super-food, citing one study that shows drinking three cups a day can have the same effect as anti-hypertension drugs. YOMM Beverages’ product lineup includes pure hibiscus tea bags, dried hibiscus loose flowers and four flavours of ready-to-drink hibiscus iced tea (original, lemon, strawberry and unsweetened). The hibiscus flowers YOMM uses are grown by Nigerian farmers in need of an economic boost. Most people don’t relish taking work home on weekends. 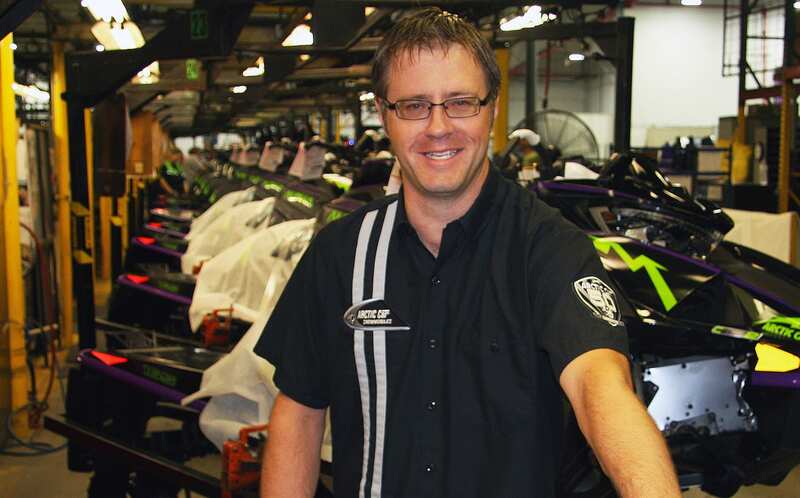 For Andy Beavis, it’s a fun part of the job. 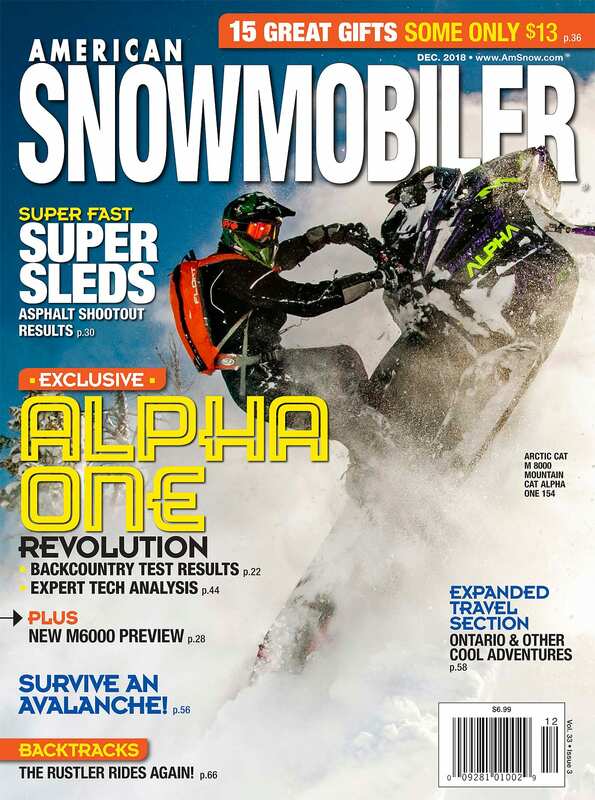 As an engineer and Mountain team leader at Arctic Cat in Thief River Falls, Minn., the 1998 Mechanical Engineering Technology grad is encouraged to take new snowmobile models and prototypes for a spin whenever he can. One prototype Beavis has been trying out since 2011 just arrived on the market, and it’s making headlines and earning rave reviews for its revolutionary single-beam rear suspension system — an industry first that also happens to be his brainchild. But while his name is on the patent, Beavis says the glory isn’t his alone. 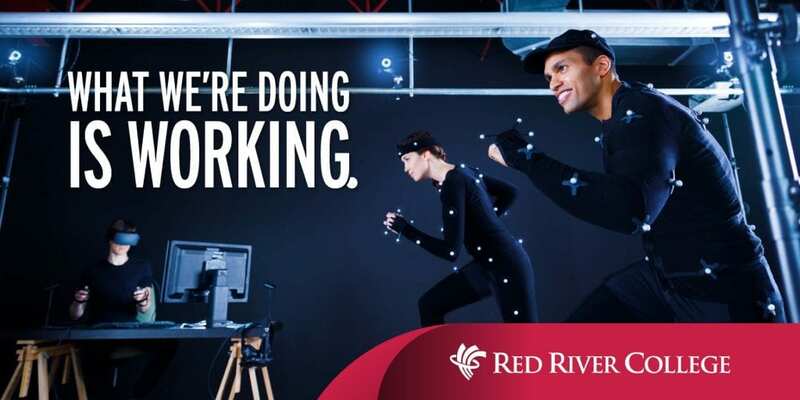 Ever wanted to appear in print or TV ads promoting Red River College as an integral part of the province’s educational landscape, not to mention a key driver of Manitoba’s economy? If so, you’re in luck! The College’s Marketing department is in pre-production mode for the next phase of its far-reaching RRC Works campaign, and is putting out a call for alumni who might be interested in taking part. Demographic info for next month’s photo and video shoots is below. The deadline to apply is Tuesday, Dec. 18. It didn’t take artist Roberta Landreth long to find her groove after she graduated in 2012 from Red River College’s Graphic Design (Advanced) program. 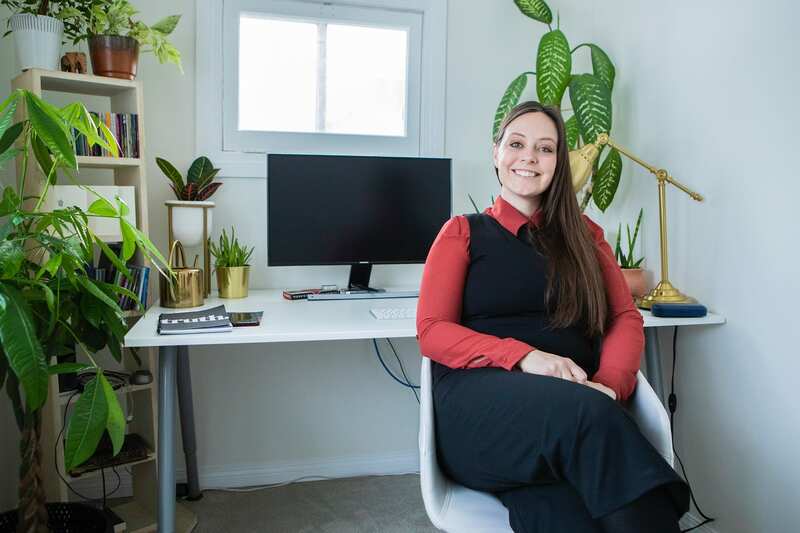 The 32-year-old proprietor of Treehouse Design landed a gig at brand development and communications firm Honest Agency directly out of college, working with clients like Folklorama and KidsFest. Just two years later, while she was deeply immersed in a side project, she was ready to hang out her own shingle. In 2015, that side project — designing album art and a 150-page booklet for Christian musician Steve Bell’s 25th anniversary box set Pilgrimage — earned her a Juno Award, a Western Canadian Music Award (WMCA) and the Gospel Music Association of Canada’s Covenant Award. “That one was a huge amount of work, like hundreds of hours,” she says. As in crazy-cool. Working on a tight deadline, that job included a 50-page book with 10 illustrations for retro-crooner Dusk’s new JetSetJazz tribute to Frank Sinatra. Her most important client is much closer to home — her husband of two years, David, who founded local roots-rock outfit the Bros. Landreth with his sibling Joey. 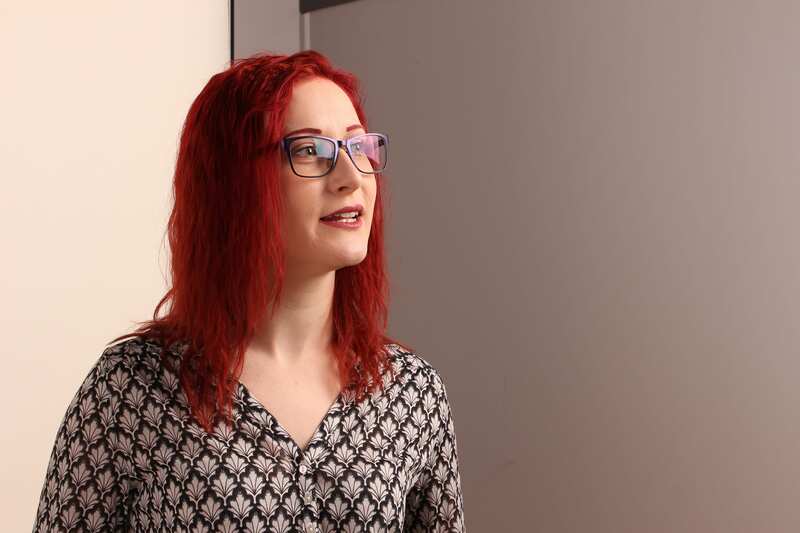 Cyber security specialist Zoë Rose’s career has really taken flight since she graduated in 2015 from Red River College’s Business Information Technology (BIT) program. The 28-year-old globetrotter has plane-hopped around the world, speaking at conferences on four continents and, since March 2016, plying her trade from a home base in London, England, where she is currently a security consultant with technology firm Baringa Partners. As a “white hat” hacker, Rose uses her skills for good instead of evil. She might hack into a client’s system or office as part of her job, with the goal of helping them identify weaknesses, educating them about phishing and cyber threats, and developing programs to protect their privacy and security. She has been invited to share her expertise with audiences in Sri Lanka, Norway, Berlin, Australia, Poland, Sweden and Austria, among other countries. In September alone, she flew to Malaysia for the Cyber Security Asia conference, spoke at a London conference for women in banking and finance and demonstrated her ethical hacking skills at a private event in Spain. “Essentially, the goal of the presentation was to raise awareness of our online footprint. I would investigate the audience and present the findings back live. It was actually quite fun,” she says. Bringing people together through sweat and a sense of community, Red River College grad Amie Seier is opening up a new gym in Winnipeg’s Exchange District. The Community Gym, which gives members the opportunity to take spin, boxing, yoga and bootcamp classes at a central location, began pop-up classes in September and is currently housed in what used to be Berns & Black Salon, next to Parlour Coffee on Main Street. “I wish I had a place like The Community when I was going to school,” says Seier (shown above, at centre), who graduated from RRC’s Creative Communications program in 2012. Seier, who has worked in marketing since graduating, credits her experience in CreComm for giving her the skills to launch a business. Culinary Arts graduate Chris Stoneham is always plotting his next career move. In fact, as we speak, he’s looking for ways to expand his latest business, a quick-serve restaurant called Rebel Pizza. He’s a firm believer in the idea that if you settle, you might lose out — and so far, that attitude has paid off. 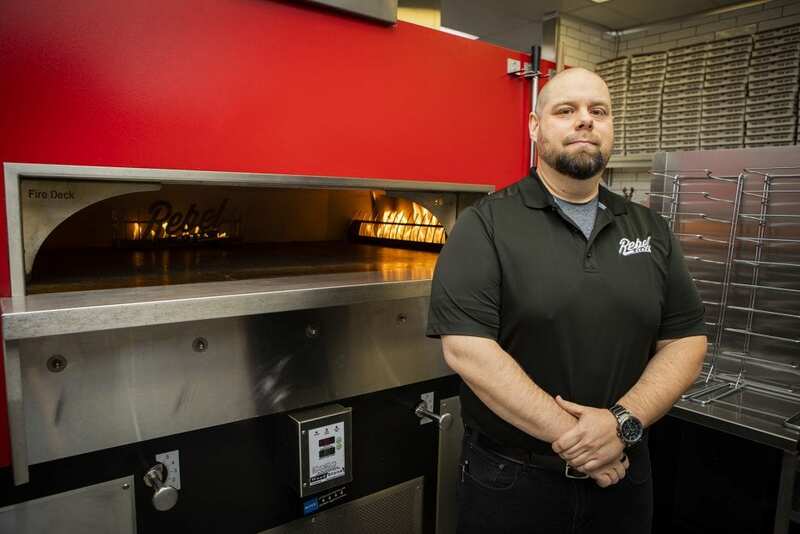 The Red River College alum has challenged himself from the get-go, starting shortly after graduating from the two-year Culinary Arts program in 2000. That’s when he took on the role of Executive Chef at the then-newly opened Shooters Family Golf Centre restaurant. 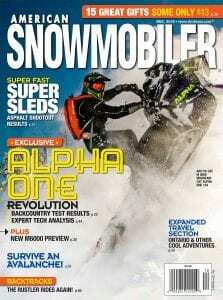 “It was a pretty huge undertaking,” says Stoneham, who was in his early 20s at the time. All of the knowledge and practical experience he’d gathered at RRC — especially through his shifts at the student-run Prairie Lights restaurant — prepared him for wearing many hats at Shooters. “It was like, organize the kitchen, order all of the supplies, hire all of the staff, create the menus, set up suppliers … just do everything,” he says. When life hands them lemons, some people make lemonade. Red River College grad Michelle Leclair makes lemon-ginger kombucha, along with pomegranate limeade and seasonal flavours like apple-spice. The founder of Wolseley Kombucha, Leclair, 34, has a history as a do-it-yourself problem-solver. Her can-do attitude led her to RRC twice over the last 12 years, first to launch a career as a Medical Radiologic Technology grad in 2008 and again when the taxing physical requirements of her work as an X-ray technologist prompted a career switch. An MRI technologist at Pan Am Clinic since she graduated from the MRI and Spectroscopy program in 2016, she started making kombucha — a fizzy, fermented probiotic tea-based drink — for personal use in 2015, in response to extensive food sensitivities. “Pretty much everything that I ate would make me feel sick,” she says. Traditional medicine didn’t provide answers so she took the bull by the horns, identifying trigger foods and adopting a diet that incorporates several fermented foods. Starting out with a recipe passed along from her partner Rob Strachan’s mother, Leclair took a trial-and-error approach to come up with her ideal brew in the summer of 2016. 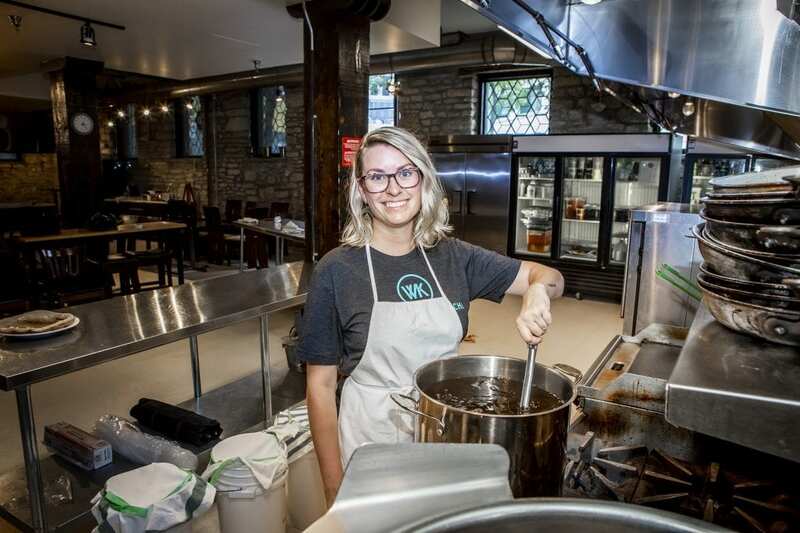 Within days, friends were asking for a sample, and today, Wolseley Kombucha is sold on tap at Boon Burger and Circle Kitchen, in reusable bottles at Generation Green and in single-serving sizes at Yoga Public, her go-to yoga studio. 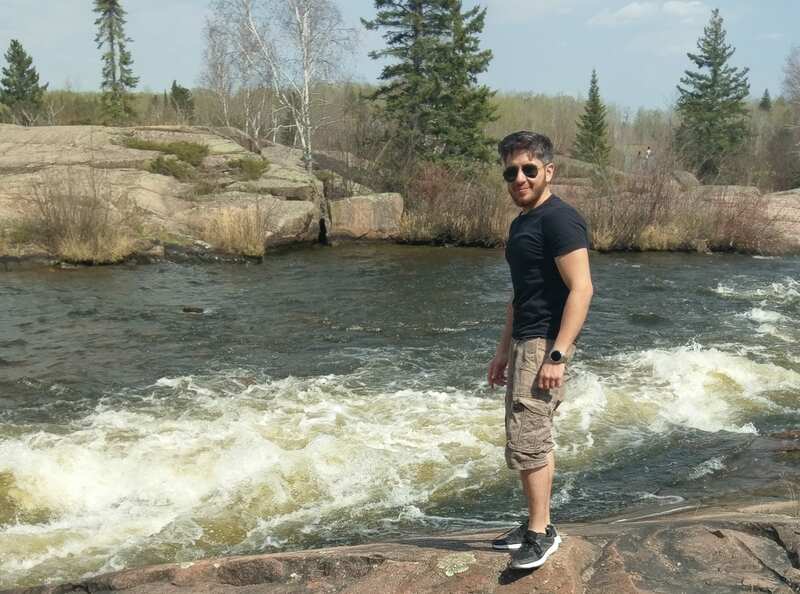 Since completing Red River College’s Applied Accounting program last spring, Wasim Alkabani has not slowed down. The 33-year-old — one of the first students to be brought to RRC under sponsorship by the Student Refugee Program — graduated in May 2017, and has since been working full-time as a finance coordinator for Loblaw Companies Limited, Canada’s largest food distribution network, which includes Real Canadian Superstore, No Frills and Shoppers Drug Mart. Alkabani also works part-time as a sales associate at Best Buy, a job that has helped him to connect with new friends while earning some extra pocket cash to explore the country. In recent months, he’s been exploring as much of Canada as he can, visiting Banff for a ski trip, as well as Calgary and Edmonton, and than back to Banff to experience the park’s summer beauty and attractions. Next on his list, he’s hoping to head to Toronto, and then even further West to visit Vancouver. Subscribe to Red River College’s Alumni News to get posts sent directly to your inbox.